In order to prevent oil interceptors reaching their storage capacity between 6 monthly inspections interceptor alarms can be installed which raise the alarm when a high oil or high silt level is reached. Alarms can be simple “local” systems which link to an above ground beacon, or can be more advanced systems which link to online portals or your Building Management System (BMS) and show you the oil and/or sludge level present in real time. Oil interceptors are usually accompanied by a basic alarm in line with the requirements of BS EN 858-1:2002, however it is often the case that during the install the alarms are not properly installed, and in some cases not installed at all. This gives the site owner a false sense of security that the oil interceptor is being monitored, when in fact the alarm is just for show. Decades of experience in maintaining oil interceptors has allowed us to develop our expertise in the supply, install, maintenance, servicing and repair of oil interceptor alarm systems. We are experienced in working with all makes of interceptor alarms including Labkotec, Darcy, Aquasentry, Pyramid, and Kingspan and are happy to take over the maintenance contracts for currently installed systems. Whether you have an interceptor alarm which has not been correctly installed, or you are upgrading your interceptor to add an oil/sludge alarm we can undertake the installation. We can supply a range of alarms from basic systems to complex systems and as part of the install can link smart systems to external devices e.g. a BMS. Our install team will ensure the alarm is fully functioning and calibrated to the correct level. Our alarm systems and can be mains or solar powered and we can perform any civils works required to run the necessary caballing. We have recently been named as Labkotec’s “preferred installer” for all interceptor alarms throughout the UK. We are able to conduct specific interceptor alarm maintenance visits and we also conduct maintenance as part of our 6 monthly inspections where we undertake an assessment into the functionality of the alarm. If we find that the alarm is faulty during an inspection we will try our best to repair the alarm during the same visit, however for some issues a revisit will be necessary to complete the alarm repair. We have recently been named as Labkotec’s “preferred maintenance provider” for all interceptor alarms throughout the UK. When there is a problem with an alarm we are able to repair most issues, however for more basic systems it is often more cost effective to replace the system. Our technicians will assess the extent of the repair and offer advice on the most cost effective method for getting the system back to a fully functional one. To ensure you are protected 24/7 from your interceptor’s oil capacity being exceeded we provide a turnkey solution. We have developed an online portal which interacts with your interceptor oil alarm. Once we receive a high oil alarm alert we will send you a warning message via email or text to inform you that your interceptor needs checking and can activate a 24/7 emergency response team to investigate and if necessary empty the oil as soon as possible. 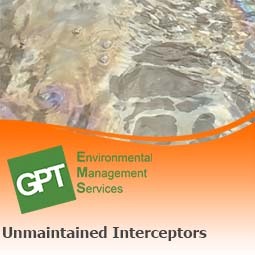 We can monitor an unlimited amount of interceptors and our unique web based interface makes identification of faults effortless. As well as monitoring all interceptors for you we can provide you with log in details so that you can see, in real time, the status of all of your interceptors. "Separator systems shall be provided with automatic warning devices"
"Separators must be provided with a robust device to provide visual and audible warning (if necessary to a remotely located supervisory point) when the level of oil reaches 90 per cent of the oil storage volume (V) under static liquid level conditions. This automatic warning device indicates that the separator is in need of immediate emptying for it to continue to work effectively."